Tropical Cruise Packing List. attire and essentials. 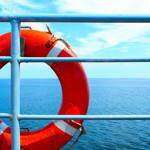 What to pack for a cruise ship vacation. 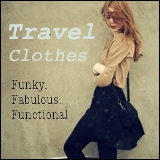 Tropical Cruise Packing List and tips for selecting cruise attire. Caribbean, South Pacific, Hawaii, Mexico, Southeast Asia ... if it's tropical, this is the cruise packing list to use. 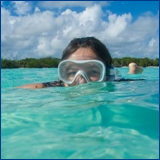 Cruise vacations can be as active or relaxing as you choose. Some cruisers rarely leave the boat and others regularly miss meals while they adventure ashore. Pack accordingly. Your packing list should include clothing for onboard events as well as any shore excursions you have planned. This page will help you sort through the everything-but-the-kitchen-sink list found on our vacation packing checklists page so you're packing only the things you need for a cruise to warm climates. Check your itinerary to see if there'll be a formal event during the trip. Will you be participating in activities like yoga, walking tours or water-sports? Tropical Cruise Packing List Items. Beach Bag or Dry Bag - For tropical cruise vacations bring (or buy) a roomy beach bag. Here are the essentials that should be in a tropical beach bag. A dry bag is waterproof and seals tightly closed. They are available in various sizes and are great for keeping things dry during water activities. Plastic Folder with pockets - The cruiseship staff will provide daily newsletters to keep you advised of the day's events and port info when you are coming to a new port. Also you're likely to collect a mixture of written pamphlets, mementos, postcards, brochures, receipts and the like. 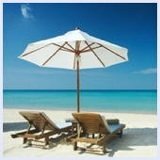 Sunscreen and soothing lotion - Tropical sun can burn skin in 20 minutes. Being on the water intensifies the effects of the sun and reflects it upward. Don't forget to put sunscreen under your nose and chin and on top of your feet. Wide brimmed hats and visors - Hats, particularly light colored hats, keep your head cooler and shade your face, ears and neck from the sun. Sunglasses and prescription sunglasses - Protect those peepers with fairly dark lenses that are UVA and UVB resistant. The more they wrap around the sides the better protection they afford. Mirrored lenses magnify the sun onto your nose ... not a great evening look. For the women - Swimsuits can double as body suits, tops or chemises. Coordinate them with your outfits then wrap a flowing pareo around one or a short denim skirt with another, later in the day you can top it with a blouse or jacket. The one piece swimsuit is making a comeback, pack more than one. Cover-ups or pareos - I pack at least one lightweight, roomy, flowing coverup that can cover most of me for those times when I have definitely had enough sun. Flip flops, sandals, comfortable walking shoes - - Shoes take a fair amount of room and you'll mostly wear sandals or flip flops. Sweater, windbreaker or light jacket - After spending the day in the sun the evenings can feel slightly chilly. Formal wear and accessories - Don't forget to pack dress shoes. You can still pass if you forget the silver bag or gold tie pin but if you have to wear flip flops with your cocktail dress to the captains formal dinner ... well. 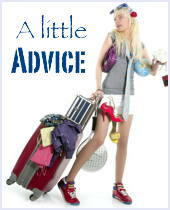 Once you've decided what to pack here are some valuable tips on how to get it all in the itty bitty bags. 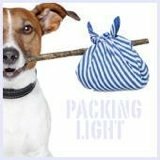 Pack light and use the laundry and dry cleaning services aboard during the trip. Bring along some items of clothing that can be donated along the way as you purchase new articles to replace them. 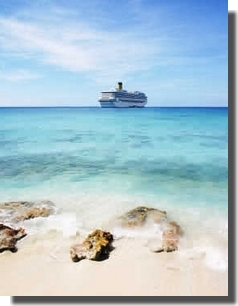 Most cruise vacations include flights to the embarkation port as well. Check here to find luggage information for your airline. 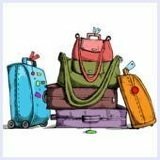 If you're flying your luggage size and weight will be restricted by the airline rather than the cruise line. Secrets to Getting More Cruise for Less Money. David Kirkland learned a LOT about the cruise ship business during his 10 year career as a shipboard officer. He's retired now and realizes how much value his specialized knowledge can be to travelers. You'll learn how to get FREE perks, cabin upgrades and VIP treatment on any cruise line. Benefits that would normally cost hundreds of dollars are available to you just by knowing the right things to say. If you want more trip for less money, you can't afford not to buy this guide.